With the KONG Safestix, your dog will have lots of fetching fun on land or in the water. The KONG Safestix is a toy for your dog. Safestix are available in three sizes, and therefore suitable for small and large dogs. This toy floats, making water games even more fun. Because the KONG Safestix is made from durable plastic, the toy can also be used as a chew toy. 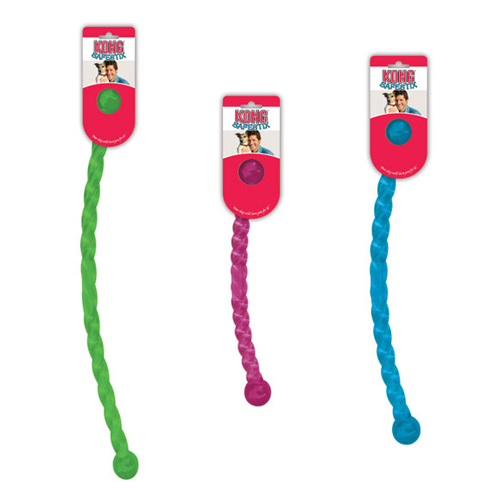 The KONG Safestix is available in three sizes and is delivered in various colours. Have you used KONG Safestix before? Let us know what you think about this product.